I get featured in the latest issue of Hammer Nutrition Endurance News. I am quoted in an article in the UW Daily about Data Maintenance and Privacy. My blog about my metabolic efficiency test is featured on the Real Rehab Sports + Physical Therapy website. I get featured in Northwest in Motion talking about riding safely at night. I get featured in Northwest in Motion talking about running safely at night. I am featured in the Topo Athletic Origins video advertisement. A photo of me is featured on the home page the Seattle Running Club website. One of my Seattle Supermoon pictures is featured in a CNET compilation. I'm a guest on the King 5 New Day NW television show representing the Seattle Running Club talking about how to run safely in the dark. I get featured in a Hammer Nutrition promotional email for Tissue Rejuvenator. A picture of me is used in the U-PASS Quarterly News to promote the UW's Bike Buddy program which pairs inexperienced bicycle commuters with more experienced riders to make the transition easier. A photo of me running on the Kendall Katwalk is featured in issue #119 of Trail Runner DIRT Magazine. I get featured on episode 4 of The Group Ride Podcast to talk about cycling and running. I get featured in a post about the #SRCBrooks team on the Seattle Running Club website. I get featured in an article about recovery in the 102nd edition of Hammer Nutrition Endurance News. A photo of me is featured in the 101st edition of Hammer Nutrition Endurance News. I get featured in the 100th edition of Hammer Nutrition Endurance News. I get featured in a video promo for SportsArt made by Playfish Media. I get featured in the Winter 2016 edition of Northwest Runner Magazine. I get featured on the Seattle Running Club website along with my fellow #SRCBrooks teammates. I get featured in the latest edition of Hammer Nutrition's Endurance News Magazine (Issue #97). My love of trail running and the film Who I Want To Be by Mike Folden Productions is featured in the Brooks Blog. The Trail Running Film Festival announces that Who I Want To Be by Mike Folden Productions will be featured in the 2015 lineup. 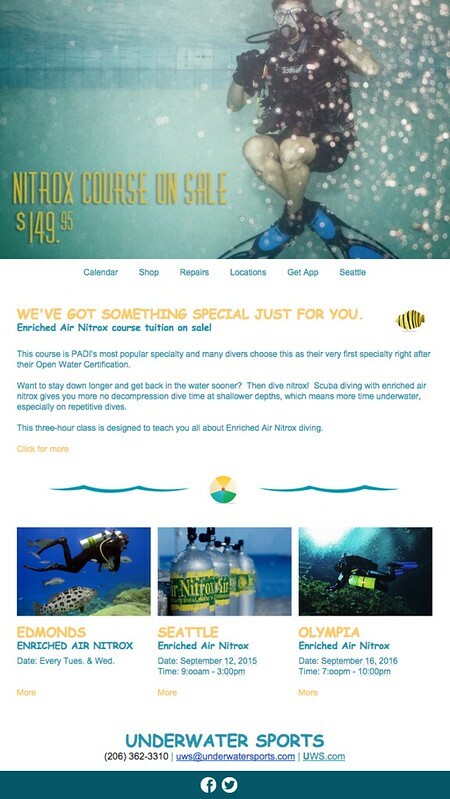 A picture of me is used in the latest edition of the Underwater Sports Newsletter. The Who I Want To Be video by Mike Folden Productions gets featured on the Trail Runner Magazine website. I get featured in the film Who I Want To Be by Mike Folden Productions about why I run. This was a dream project with an amazing team and it's incredible to see it come to fruition. I get a mention for my record breaking ride with Rick Benson in the fabulous and very educational Creating RAMROD video. Our 10 seconds of fame are 20:00 in. My blog post about my VO2 Max test is used as a reference in the Seattle PI Velocity Blog. This was an article about fitness assessments, VO2 Max testing and training methodologies. One of my favorite pre-race breakfasts gets featured in the latest issue of Hammer Nutrition Endurance News and on the Hammer Nutrition website. I get a mention on the UW IT Connect website for the Information School's use of SharePoint. This was also picked up on the iSchool website. I get featured in a UW Transportation photo shoot. The images will be used to educate and promote alternatives to cars. My photograph gets featured in the Backpacker article: 8 Local Training Hikes To Help Get You In Shape. I get selected for the 2015 SRC-Brooks Competitive Team. Our house - designed by Chadbourne + Doss Architects - gets featured in Houzz. I get selected for the 2014 SRC-Brooks Competitive Team. My photograph gets used in the Real Change article: Flushed Out. My blog post about running the Cascade Crest 100 is referenced and I get a mention in the Seattle Running Club bog article Cascade Crest 2013 - 100 Miler Lessons. My pacer's report of my Cascade Crest 100 run. My blog post about Everyday Trail Running Heroes gets a mention in Trail Runner Magazine. My Teko Socks review gets mentioned in the Wall Street Journal. 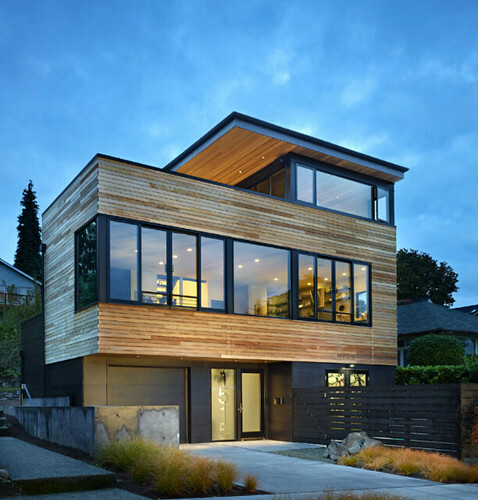 Our house - designed by Chadbourne + Doss Architects - gets featured in the 2013 Tour of Architects. 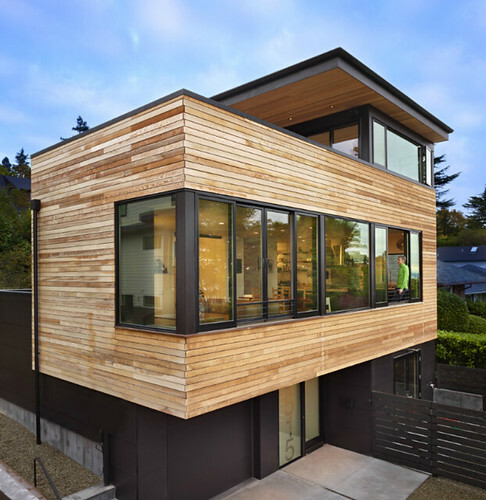 Our house - designed by Chadbourne + Doss Architects - gets featured on the Cascade Bicycle Club website. I get featured in Velocity: The Seattle Area Cycling Blog. Martha Walsh and I get featured again in UW Today after winning the Co-Motion Tandem Bicycle Stage Race. Martha Walsh and I are featured in UW Today as we train for the Co-Motion Tandem Bicycle Stage Race. Microsoft mentions me and Ti Cycles as they launch Small Business Server. The retail operation that I managed (Ti Cycles) and I got a mention in InfoWorld for being one of the first business to adopt Microsoft SBS (Small Business Server). Rick Benson and I get a mention on the Redmond Cycling Club's website for our record breaking time at RAMROD (Ride Around Mt Rainier One Day).